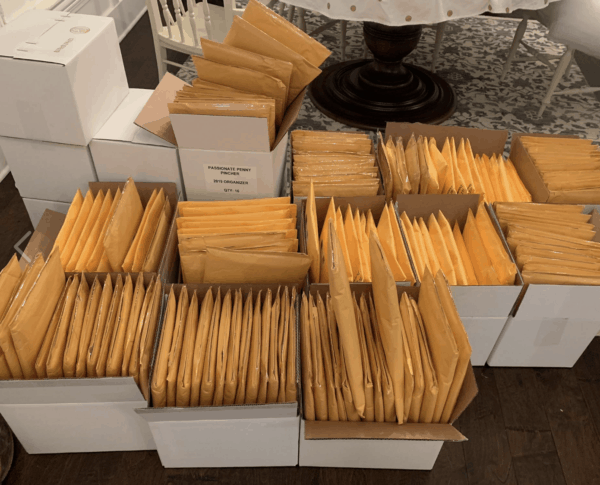 January 5, 2019 by Laurie 14 Comments This post may contain affiliate links, which means if you click on a link and purchase something, I may earn a small commission (at no additional cost to you.) See my disclosure policy HERE. 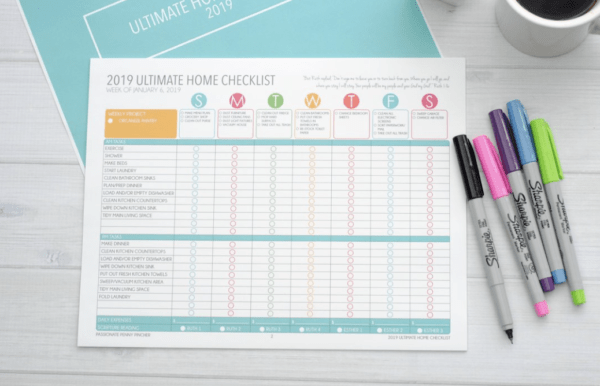 I'm so excited to start our 2019 Ultimate Home Challenge next week (January 7-11, 2019) to kick off our 2019 Ultimate Home Checklist! 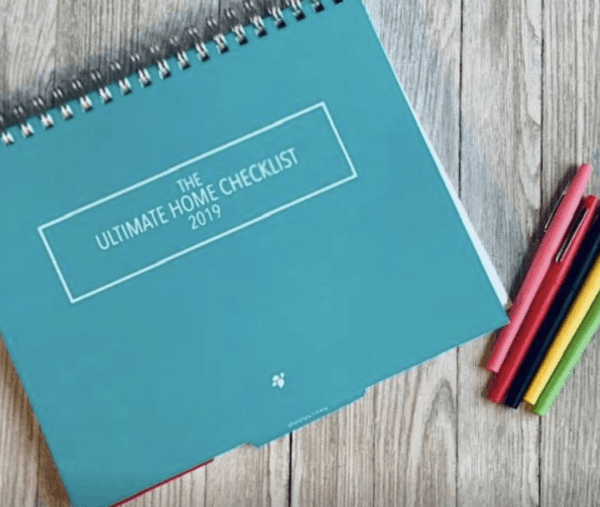 In case you missed it, right now you can get our 2019 Ultimate Home Checklist for as little as $12.95, AND get access to the 2019 PPP Ultimate Home Private Facebook Group too. I would so love for you to join me. I'll be real honest and tell you I am BLOWN AWAY by how many folks have joined me and are excited about this little project too. I've had the concept in the back of my head for a few years but never took time to figure out how to put it into a true workable plan until now. 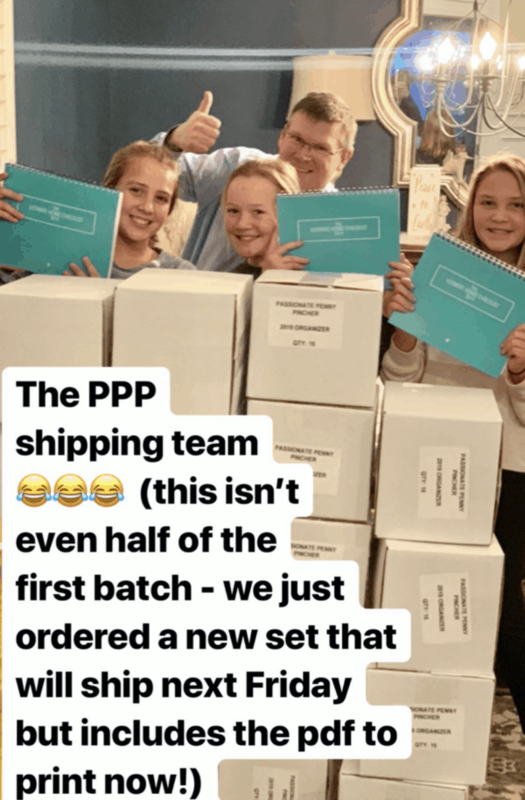 So when I launched this product (PPP's first ever real product!) on Tuesday (a day earlier than scheduled because I just couldn't even wait to share it with you! 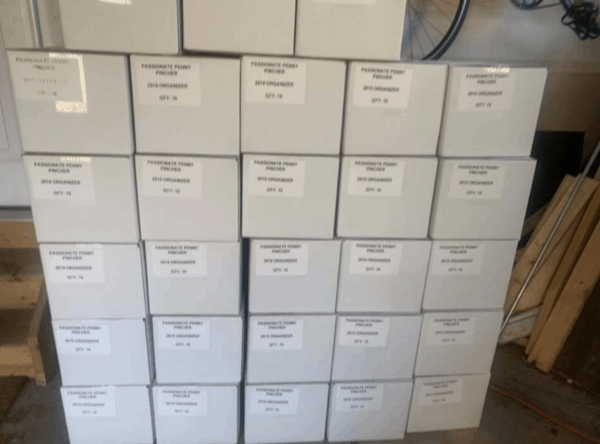 ), I never-ever-never dreamed we would sell out of the physical binders in under 18 hours. We've ordered one more batch to ship out next week (go HERE to order yours), and I will not be ordering another set after these sell out. (Because I just don't know that my hubby has it in him to ship them all past the ones we've already ordered!) However the PDF version will still be available even if the printed ones sell out ~ but will only be available at this discounted price for a for a few more days. 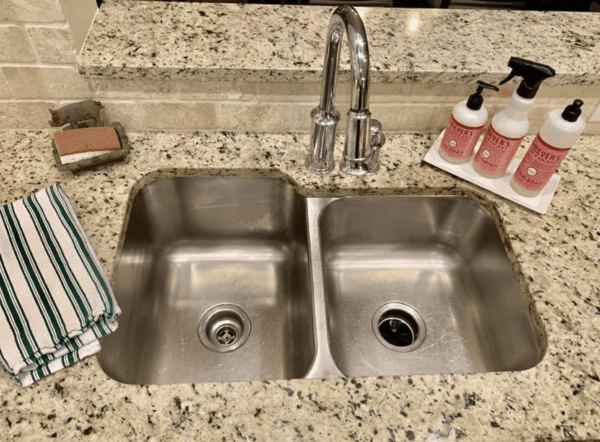 Honestly, by going through and checking off our Ultimate Home Checklist each day with you, my home just feels so much more in control. I just love that and know you will too. 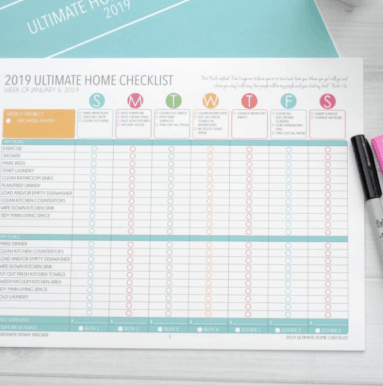 I'd sure love for you to join me ~ head on over HERE to get your 2019 Ultimate Home Checklist and leave a comment to let me know if you're joining me ~ I love hearing from you! Cant wait to print mine off! I ordered the spiral book and I know you sent the download, but in my zeal for cleaning out my email, I deleted it and took the trash out! Help! Can you resend the download? Hi Robbin! We’d be happy to resend it to you! If you could send me a quick email at contact@passionatepennypincher.com, we’ll get that out to you! 🙂 Thanks! I am so excited to get my spiral copy! I already did dowliaded and printed to be ready tomorrow though! How does one decide to order the spiral copt or the pdf? I can’t decide! When will you have more spiral bound copies? Hi Barbara! At this point I’m not sure if we’ll be printing more of the spiral versions or not – if we do we’ll be sure to let you know! Thanks so much! 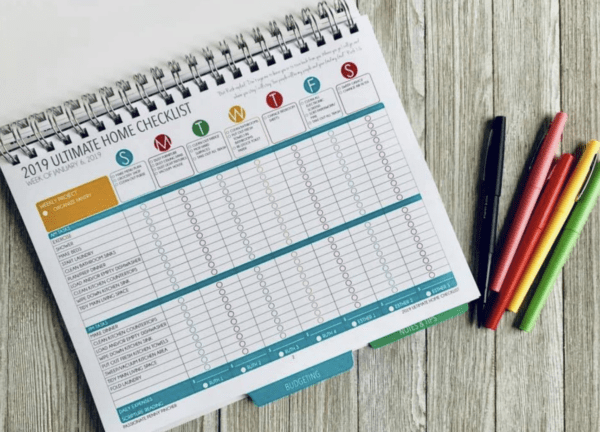 Hi and I want to order your product called The Ultimate Home Checklist but I don’t want to download or print it out. Since my printer is old and not work well… please let me know and email me with subject so I will know you answer my question. My email is below. Thank Christine.